If you have been along for even part of this wild ride, you will know that it resembles a roller coaster to some degree. The highs have been miraculously high and the lows have been discouragingly low. One day we are celebrating all the good and the next we are battling in prayer because there is so much suffering. This journey reminds me of a roller coaster at Canada’s Wonderland, in Toronto, called the Behemoth. It is known for its (literal) breathtaking first drop, reaching speeds of 125 km/hour, and the thrilling ups and downs that follow. The one-two hours waiting in line are spent wondering why this was ever a good idea, and seeking distractions from the anticipation of what is about to come. Every glance at the track towering in front of you causes your heart to pound and each time the coaster thunders by you tremble a little bit. Once on the ride, as the car click-click-clicks up higher and higher, your awareness grows that you have zero control over anything that happens. The only thing holding you in your seat is a lap bar – no upper body restraints, and all you can do is hold on. 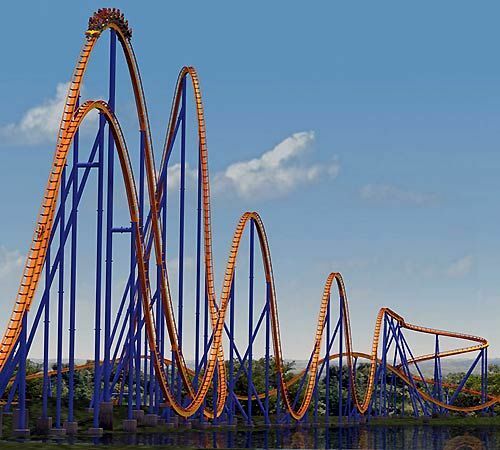 These past few months have been like riding the Behemoth over and over and over. With each round of chemo, the anticipation builds, the loss of control overwhelms, and the ups and downs are so unpredictable. But unlike a roller coaster, this ride has a whole lot more pain and suffering. I am not trying to minimize what Jasmine is going through, nor put it on the same level as a simple amusement park ride. But the unpredictability and the speed of ups-and-downs help paint a picture of what she is facing. This week Jasmine got a bacterial infection in her central line, the same as round 2. Yet this time the infection was worse so they removed the line and now she receives everything through IV. The antibiotics were slow to work, Jas was put on oxygen, and her blood counts were still at zero, meaning her body couldn’t fight. This week was full of suffering: low blood pressure, loss of appetite, blood transfusions, exhaustion, tears, and hopelessness. From yesterday, the biggest smile all week! Sunday night was a particularly low point. A chest x-ray revealed that Jasmine has pneumonia on top of everything else. Helplessness reminded us that we were completely at the mercy of God and that the only thing to do was hold onto Him and pray. Then yesterday (Monday) we received some amazing news – an answer to prayer! Jasmine’s blood counts were coming up on their own, meaning her body will be able to start fighting the infections. This was the quickest her counts recovered out of all three chemo rounds (Day 20). Praise the Lord! Jasmine was also more talkative and hopeful! This ride is far from over. However, through the joy and the suffering, we have an anchor. Like the seat restraints holding a person onto the ride, we have an anchor to hold us firmly through all the craziness. And He’s completely faithful and reliable. “We have this hope as an anchor for the soul, firm and secure.” (Hebrews 6:19). Timely reminder from Neen that the power will be of God and not from us. He is the one holding us. Even if you let go on the ride, if you lift your hands high above your head, the restraint will still hold you in. You may lift off your seat, but you won’t fall off. When God is holding us, we will be afflicted but not crushed; perplexed but not despaired; persecuted but not forsaken; struck down but not destroyed. It has never been up to us! God’s got Jasmine, and He’s got all of us. Nothing can separate us from Him. When you get to the end of the ride, there’s a sense of satisfaction because despite what you just endured, you’re alright. The Behemoth was daunting but you conquered it. We are not at the end yet. We are just past halfway, with two rounds left. But if we remain anchored to God through everything, no matter what circumstances we face, we will be conquerors. We may not all be struggling with the same thing as Jasmine, but all of us face ups and downs. This promise rings true no matter what we are walking through: Do not fear for I am with you; do not be afraid, for I am your God. I will strengthen you; I will help you; I will hold on to you with my righteous right hand (Isaiah 41:10). It is day 12 of the third round of chemo. 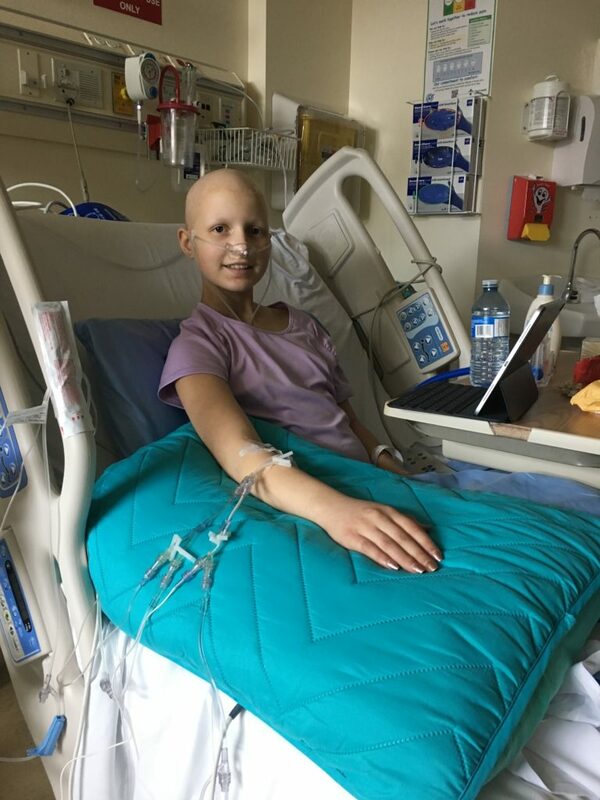 Jasmine finished receiving chemo treatments on day 5, and has been resting this past week, waiting for her blood to recover. 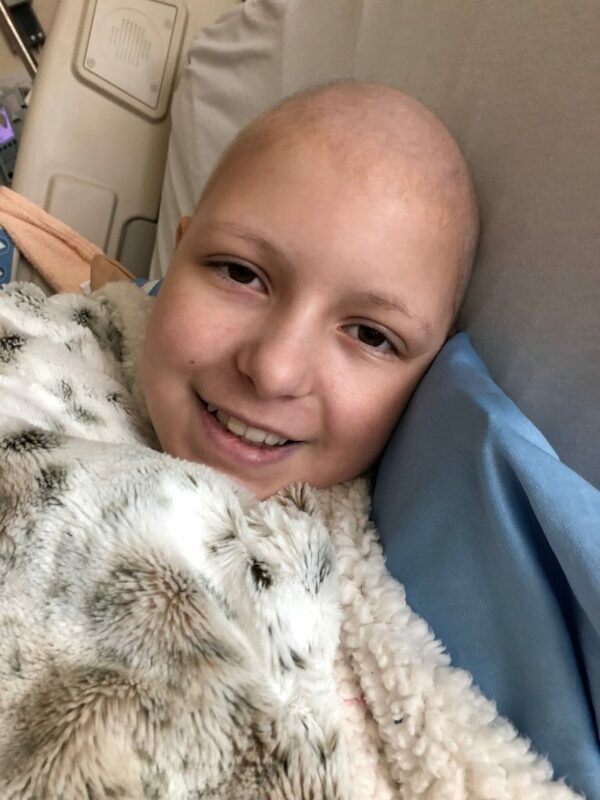 Since the very beginning, cancer has attempted to steal many things from Jasmine: her freedom, community, hope, strength, peace, normalcy – but it has not stolen her joy. Trying on wigs at the salon. This courageous beauty continuously puts a smile on her face. She doesn’t complain, and when she does speak up about not feeling well, you know she’s suffering. She embraces every step of this painful process with gentleness and kindness. 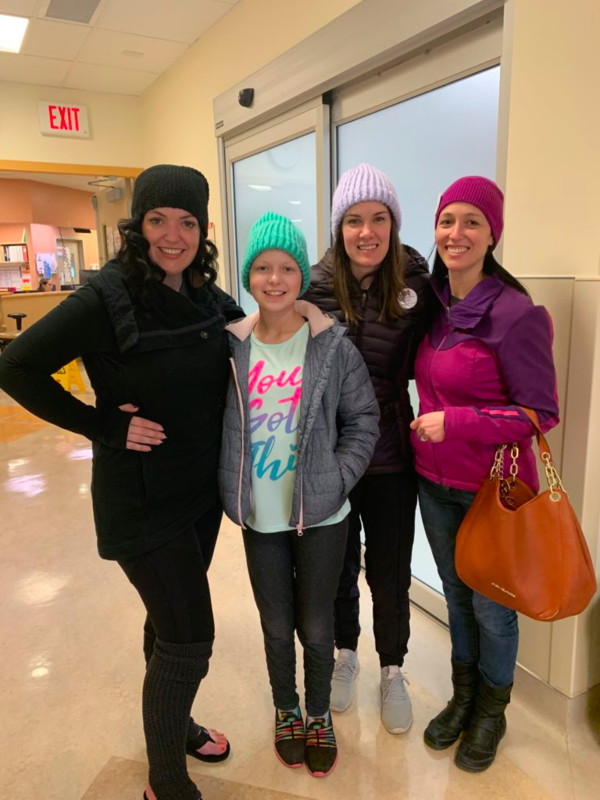 On the first day of this chemo round, Jasmine was able to go on a pass with her mom and aunties to visit a wig salon. The wig made with her own hair is due to arrive in a few weeks, but she was thrilled to have another one, and sooner. This round of chemo was the shortest (5 days), but also the hardest, so having a beautiful wig was a highlight. 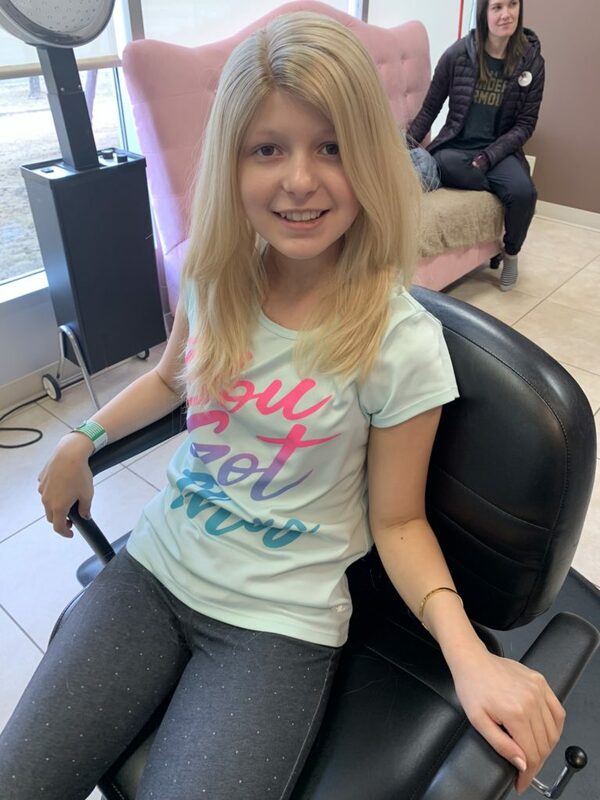 Jasmine loves doing hair; before cancer you would find her with hair styled exactly how she intended it, each individual hair in its place. Or she would have an extravagant updo that she did herself, learning new techniques from tutorial videos. 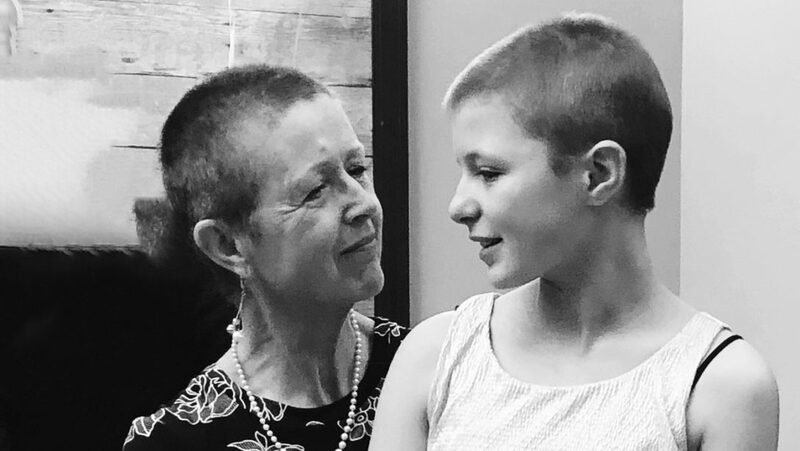 Losing her hair was one of the hardest realities of cancer, so it was refreshing for her to have hair to style and play with again. Every picture with Jasmine smiling brings hope to us all. She reminds us that joy is possible even in the worst of circumstances. Cancer can force certain realities (like losing hair), but joylessness is not one of those. Joy is a choice, so nothing can take it away. Joy is only up for grabs if we let it. Worry is a joy stealer. Fear is a joy stealer. These things can occupy the space in our minds if we let them. But thank you dear Jasmine, for being living proof that joy is always possible – that we can choose it. We can choose to let go of the joy stealers and rest in knowing God is with us and He’s taking care of us. Choosing joy doesn’t change the circumstances, but it changes how we walk through them. 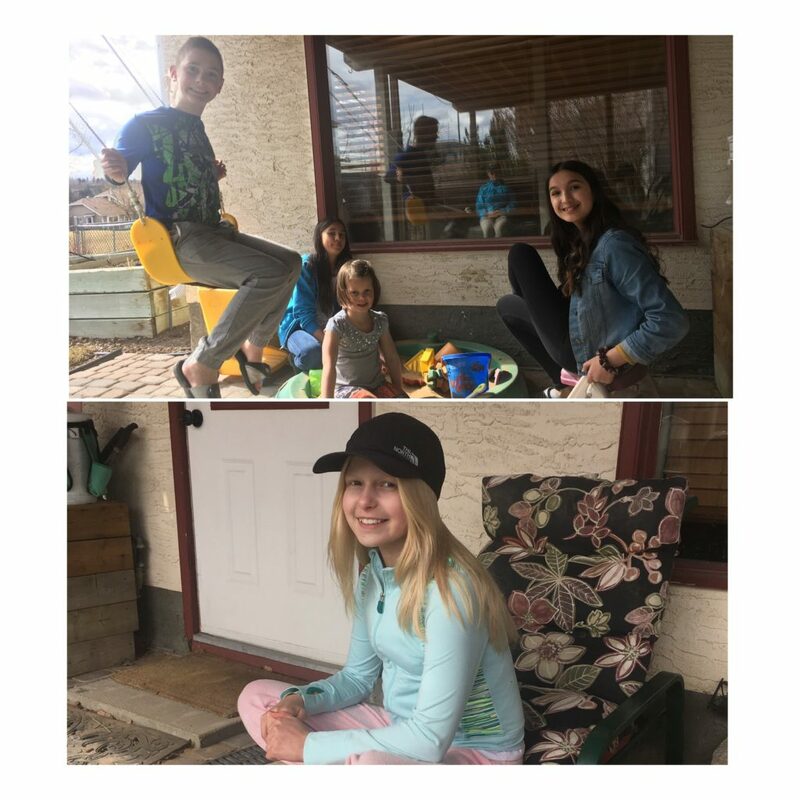 Enjoying time outside at Grammy’s during yesterday’s pass home. Almost daily I am reminded of the impact Jasmine’s army is having in this battle. A whole army of people who care. A whole army of people who support and love and show up. It’s days like this week that we need the reminder. Jasmine was having a hard day yesterday. 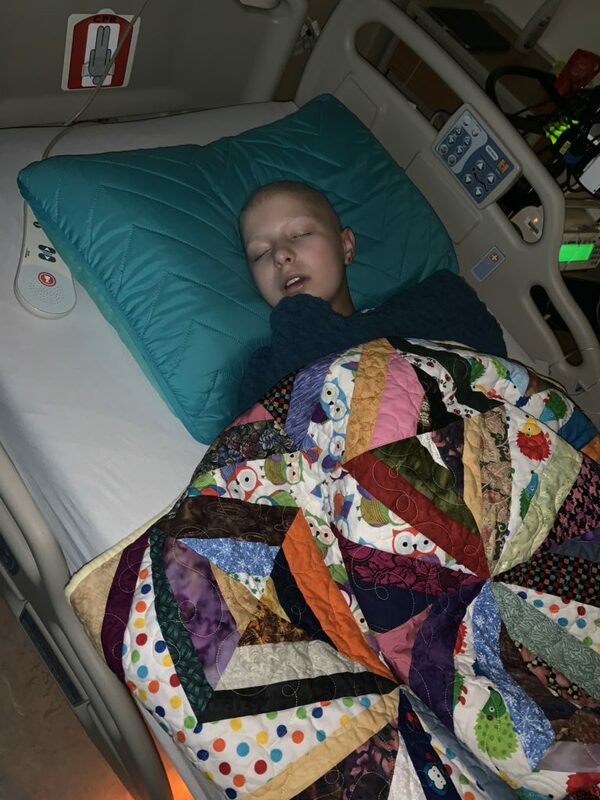 She was laying in her dark hospital room, unable to do anything because of nausea and her eyes were hurting (a side effect of one of the chemo drugs this time around). 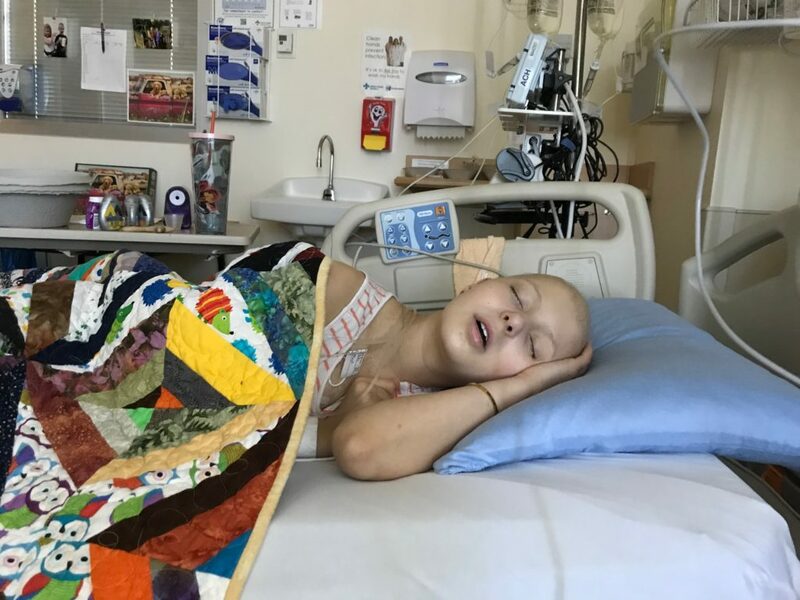 She was unable to eat or drink for two days, and she was on day four out of five chemo days before recovery can begin. It is hard on Christine to be with Jas yet unable to alleviate her suffering. It must be one of the most difficult things to endure, being powerless to help your child. Time can pass slowly in that hospital room, especially when there are no distractions from the misery. But there is an army. No, none of us can change this reality for them. But every little part played by someone in this army is helping to fight this battle. When the family needs encouragement, there is an army sending messages and gifts and financial support. When the family has prayed everything they can think of, there is an army continuing to petition on their behalf. When despair sinks in and hope evaporates, there is an army to spur on the fight. When giving up seems like a good option, there is an army to remind them of God’s truth and to keep going. 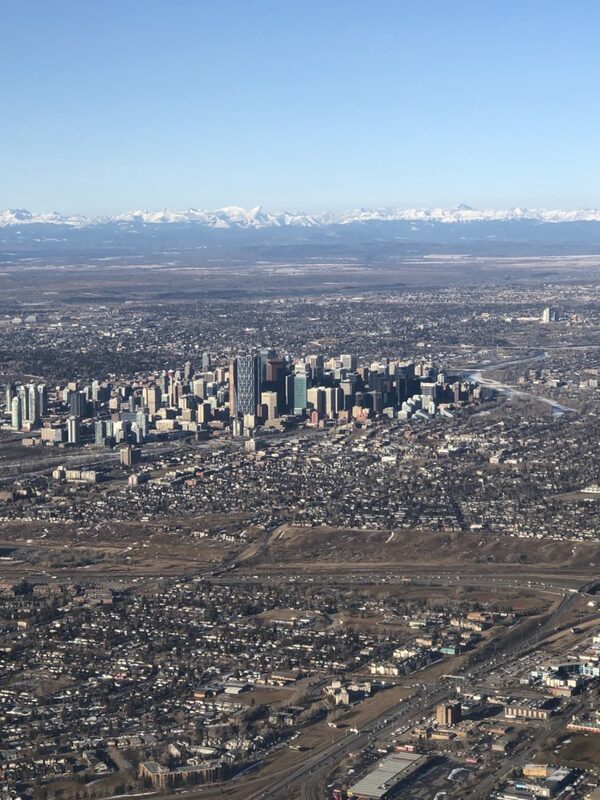 Photo of Calgary taken from an airplane. 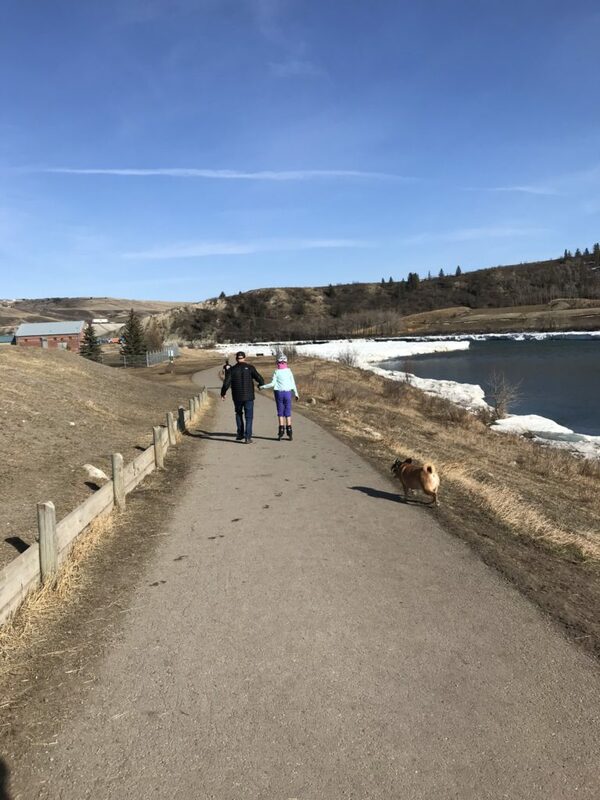 This is a photo of the city of Calgary. From the sky, it looks impressive, yet it is made of up many individual houses, roads, fields and skyscrapers. There are countless parts to this magnificent city. This is just like Jasmine’s army – many individual people coming together to form something mighty and magnificent. In the Bible (Exodus 17), Moses was tasked with keeping his hands raised above his head during a battle that his people were fighting against the Amalekites. When his hands were raised, Moses’ people, the Israelites, were winning the battle. When he got tired and his hands lowered, his army was losing. So Moses’ brother Aaron and another man, Hur, put a stone under him so he could sit on it. Then each of them held one of Moses’ hands up in the air for the duration of the battle. They helped Moses’ hands remain steady until the sun went down, and the Amalekites were defeated. 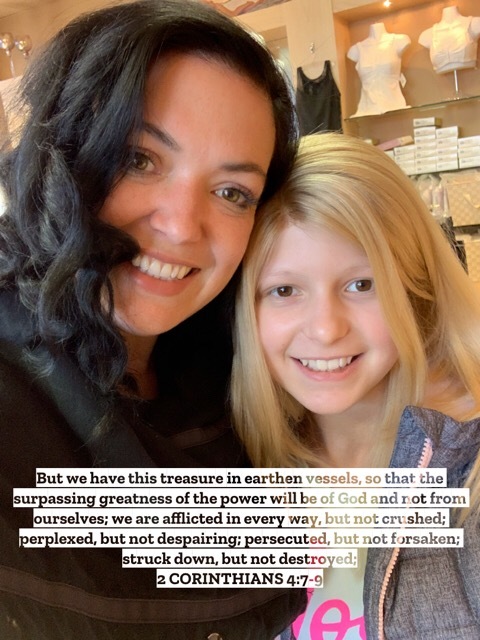 Christine may not be able to take away what Jasmine is going through, but her presence with her daughter means that Jasmine is not going through this alone. Similarly, each of you is so special and your role is important. Your presence in this army means that we are in this together, and that means that this is not just Jasmine’s battle, but it is OUR battle. It is the army’s battle, and ultimately, it is God’s battle. This battle is in God’s hands; it has been since before we got the diagnosis, and it will be in the months to come. And this army is helping to hold up Christine and Brad’s hands as they walk through this with Jasmine. This battle is bigger than one person, but it is not too big for God and the army He has built and is continuing to grow. God knows what each person needs in this very moment, so let us ask Him with boldness to help this precious girl and her family. Wednesday’s four-hour pass included a fun outing! What is your role in this battle? Is it to pray? Is it to give of your time or money? Is it to serve? Is it to encourage? Is it to love? Is it to support? Is it to show up? Is it to spur them on because you’ve been here before? They need you. 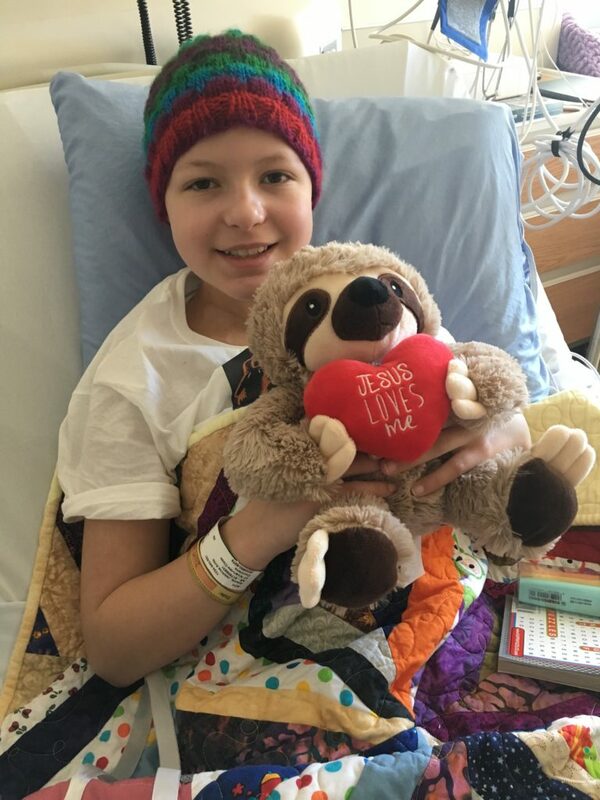 Since yesterday, many people in the army were praying specifically for Jasmine, and she is feeling SO much better today! In fact, she is on a four-hour pass home. Thank you God and thank you army! Thank you for being present and continuing to fight alongside these brave warriors. God has brought you to be apart of this army and there is a reason for it. Thank you for showing up, it means more than we know how to say. Rest can take many forms: sleep, relaxation, entertainment, activities, being with people, or even being alone. 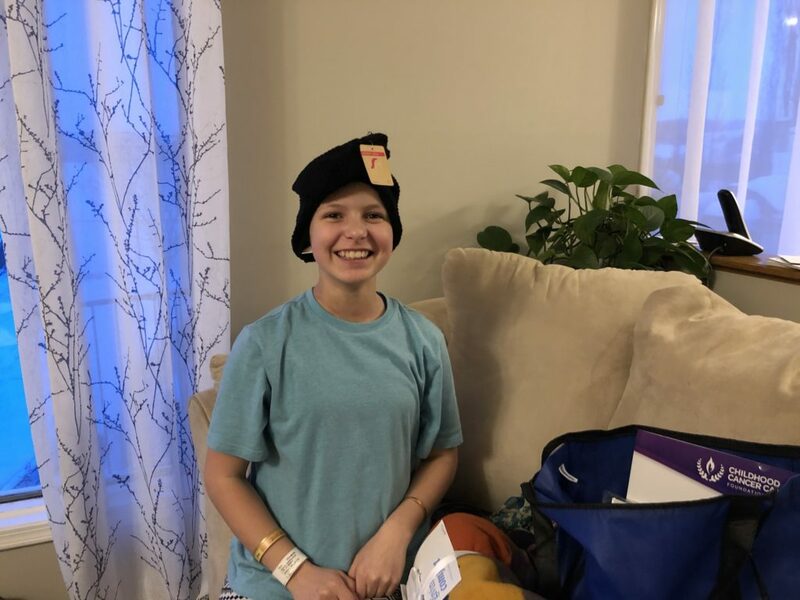 Jasmine spent this whole last week at home enjoying rest in many ways before returning to the hospital this morning (Tuesday) to be admitted for chemo round 3. 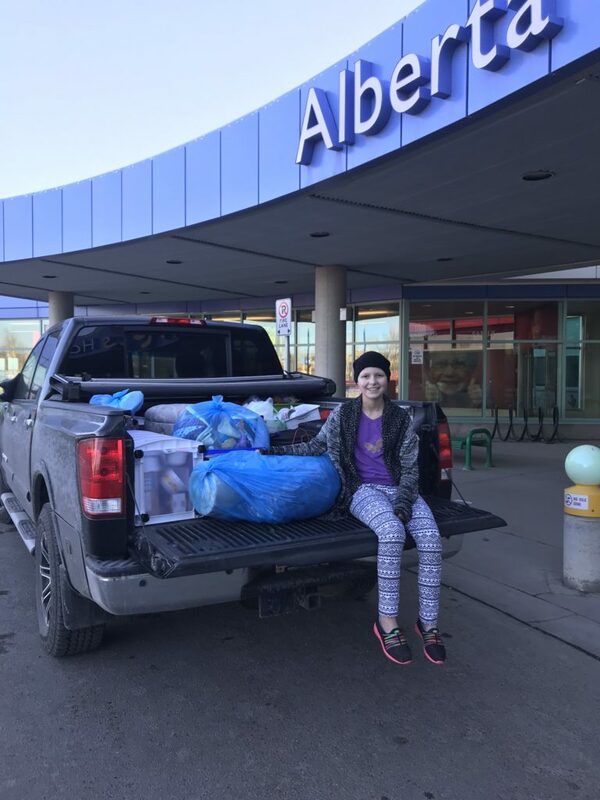 She was home for a full six days, with only one trip to the hospital yesterday for a dose of chemo into the spine (preventative measure) and a bone marrow biopsy in her hip. Fresh air at the dog walk. She rested this week by sleeping in her own bed and eating her own food. 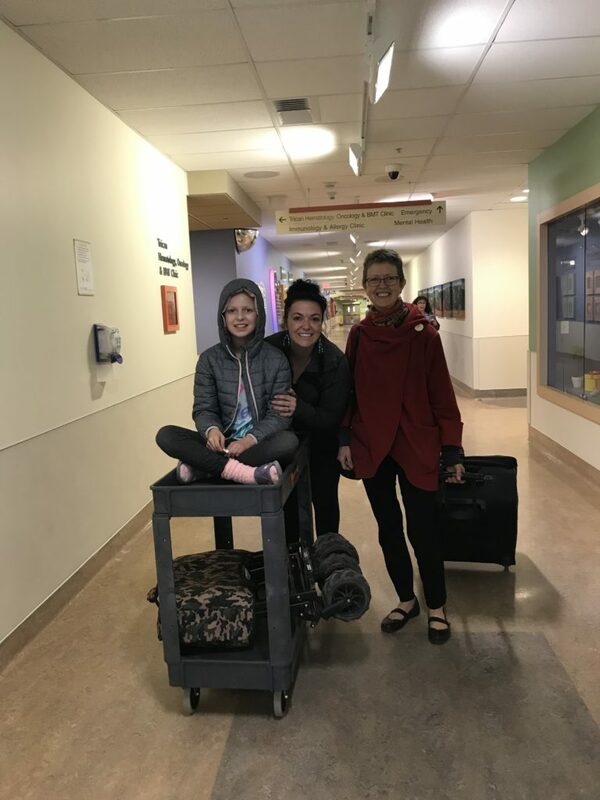 She rested by being out of isolation in the hospital and being with people she loves. She rested by doing some “normal” activities like rollerblading and shooting a basketball with Eli. She rested by feeling good and laughing and eating a Mexican dinner cooked by Auntie Neen (Anita) who is visiting again. She rested by dreaming of waterpark family vacations post treatment. She rested by going to church and seeing her church family after 10 weeks of being away. Most of all, Jasmine rested by being home. She said yesterday, “Sometimes home is the place you want to be more than anything.” We are thanking God for this blessing of time at home. And also that God has made His home in Jasmine’s heart so no matter where she is, God will be with her. Last night we had a prayer and worship time to lift up this family we love so much. It was spiritual rest – the perfect way to end this week. Jas stayed home with Eli and Brad, while the rest of the local family and people from the army gathered together. Our friend Stephanie facilitated the evening and encouraged us to pray boldly. She reminded us that we are invited to “ask and keep on asking and it will be given to you; seek and keep on seeking and you will find; knock and keep on knocking and the door will be opened to you.” (The Message, Matthew 7:7). There were some bold prayers! And I want to encourage any of you reading this to continue with asking God for big and bold things. God is able, will we ask? Although Jas was admitted to the hospital today, she is allowed to go home to sleep tonight, and chemo will start tomorrow. After meeting with the oncologist today, the plan moving forward is to do three more rounds of chemo. So a total of five rounds. Praying against any fear or dread because they know what they will face going through it for a third time. Praying for thoughts to be taken captive and made obedient to Christ, that they will dwell on His truth. Praying for lots of sleep and rest for Jasmine and Christine especially. Praying against the family getting sick so they can be with Jas and care for her. Praying for God’s presence to be tangible. Praying for the chemo side effects and no infection this time around. Thank you for praying, friends! Yesterday my kids ate ice cream outside, my eldest in her bathing suit. That might sound absurd since we live in Canada and there are still technically two days of winter left before spring, but we have been longing for summer so we jumped at the opportunity to be outside. We have had a seemingly endless winter. Since the first blizzard in early October, we’ve put up with frigid weather, though the past two months have been the worst. It had been well below zero for two months straight, with no reprieve from the harsh conditions. The air was so dry and cold that it made our noses sting and our skin flake off. Kids were going antsy from being cooped up inside for so long. People were dreary from the monotony of freezing weather and dull grey skies. However, it wasn’t the weather that was the hardest for me to endure – it was the wintery conditions of my own heart these past couple months. While the icy wind howled outside freezing everything in its path, the pain and emotions I faced began hardening my heart as well. From the moment I heard the news about Jasmine, I felt the pain. My heart didn’t just hurt for her, but for everyone who would be broken and impacted by this. After awhile, the emotions became exhausting and I just didn’t want to feel them anymore. It’s easier to ignore the emotional reality and focus on other distractions than it is to sit in the mess. Christine put it well when she called it emotionally tired. I have felt that way, too. It’s scary to acknowledge how we are feeling because what if we feel like this forever? What if we are wrong to feel this way? When the second round of chemo went smoothly, I started to relax and come alive again. We had hope, and things were going as well as they could. 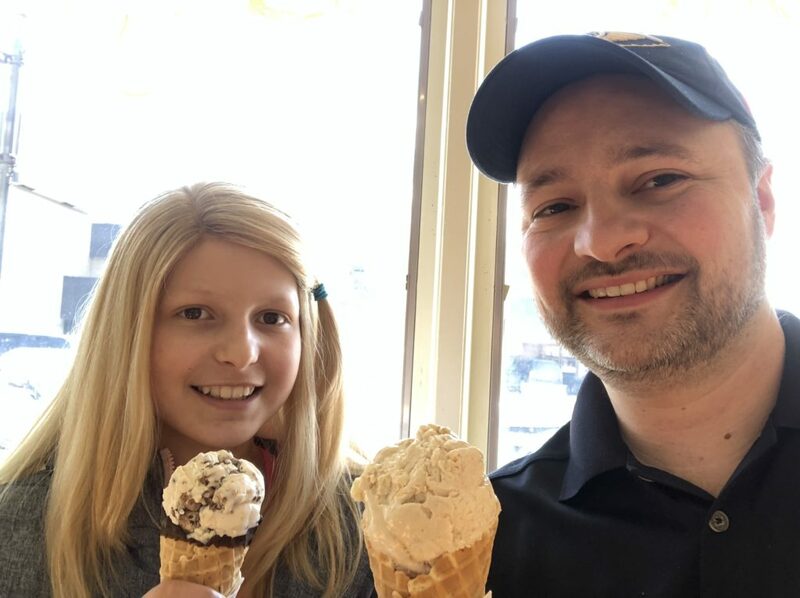 Then Jas got the bacterial infection in her central line a week ago, and I didn’t want to go there again – to the dark place of fear, sadness and feeling numb. But to fully live, we need to fully feel. We can’t selectively numb our emotions; when we numb the bad, we numb the good too. I’m not sure that a winter season is completely avoidable in our lives. It seems to be our human condition to want to run away from pain. But there is one thing I am certain of: though winter can be long, it doesn’t last forever. I am thankful for this burst of summer (as my kids are referring to it) even though it is still technically winter. And even though summer is still a long way off, God has gifted us this time of glorious sun in the midst of a hard season. I think the harsher the winter, the more desperate we are for summer. And the colder the conditions, the warmer the sun will feel. In the shelter of a backyard, with no wind and direct sunlight, a 14 C (57 F) day can feel like the middle of summer. The deeper the pain we feel, the greater the height of life and joy we will also experience. In the midst of the dark valleys, in the midst of being surrounded, in the midst of suffering, God is still with us. And when He is with us, we can rest, we can have joy, and we can just BE without fear or worry. Officially discharged after round 2!!!!!!!! Unlike the permafrost of this past winter, my heart has not been permanently frozen. Thankfully, God has been gracious to meet me in the middle and offer me many opportunities to process the emotions and the new reality with Him. He gives complete rest when we are tired, He brings encouragement when hope is hiding, and He gives security when our foundation is rocked. Today I am thankful that Jasmine is doing SO well that they have officially discharged her after round 2! Yesterday her blood levels were fairly stable, she had colour in her cheeks, the fever and rash were gone and her cough was better. Her counts were rising. Today, her levels improved so much that they sent her home to rest before starting round 3. 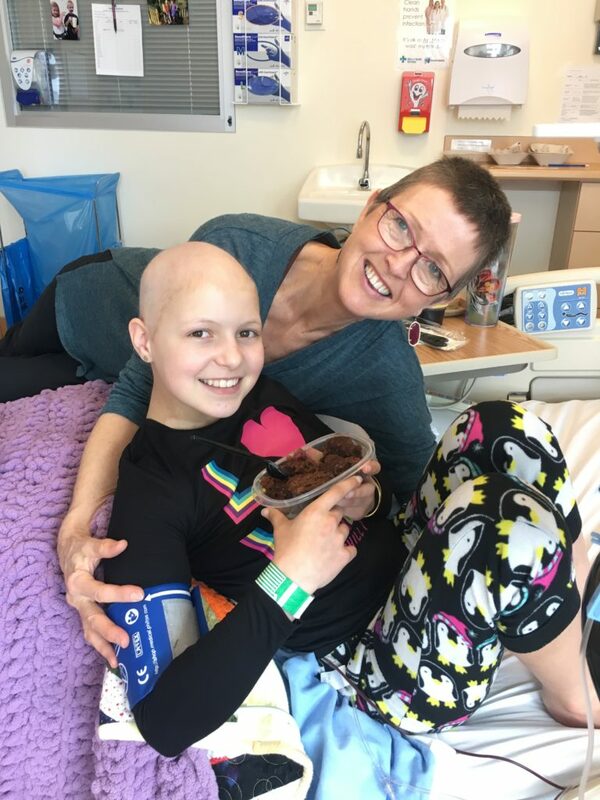 This time, her bone marrow started recovering on Day 21, which is ten days earlier than it did the first round. A nurse will be coming to Jasmine’s home daily to administer IV antibiotics. Jas will receive a bone marrow biopsy and lumbar puncture this Friday. Chemo round 3 will most likely begin next Tuesday, March 26th. The past two days have been hard in many ways. For Jasmine, she has felt incredibly sick. Last night her fever got up to 40.3C (104.5F) so they gave her Tylenol and took more blood cultures. They have been giving her Maxeran through IV for nausea. She didn’t eat anything for two days and was only drinking small amounts. This morning Jas was pale and her hemoglobin was low so they gave her an infusion of platelets and RBC’s. She has been continually nauseous so they’ve been giving her anti-nausea meds around the clock. By this evening, Jasmine’s colour was better, she was eating a little bit and her fever was coming down. The oncologist also said that infection is very common and most AML kids get a serious infection every round so Jas has been a super star so far! It has been identified that the infection is not in her blood, but in both lumens of her central line. Jasmine is getting two antibiotics for the infection and the medical staff are monitoring her well and taking care of her. It is heartbreaking watching Jas go through this, and as a parent myself, I ache at the thought of what Christine and Brad are going through. It’s a rollercoaster of emotions that never seems to stop. It’s emotionally exhausting. 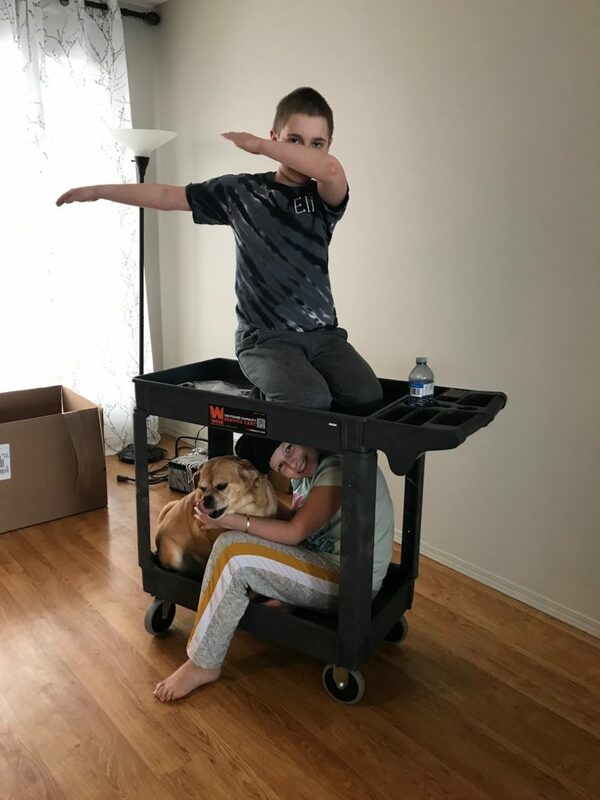 When a friend asked if there was ANYTHING we could do to help ease this burden, I had to respond that there is nothing we can physically do to help. When someone we love is in pain, overwhelmed, heartbroken, beaten down, heavy or exhausted, we long to help. We long to help ease the burden they are carrying, to lift the weight off their shoulders, to make it all okay. Sitting and watching helplessly is almost torture. And yet there are instances, like this one, where we have no way to physically help, but it doesn’t mean we are out of options: We can come to the throne of grace on our knees and pray to our God who is always present, unconditionally loving, and faithful to never abandon us. This is a fight. It’s a fight for Jasmine to be healthy, to overcome this infection and to beat cancer. It’s a fight for Christine and Brad to show up morning after morning, present and hopeful even though they are exhausted in many ways. It’s a fight for this family to stay unified despite the toll on all of them. It’s a fight to choose faith over fear continuously. As the army who loves and supports the Adams’, we have the opportunity to continue fighting alongside them. So let’s gear up because the battle is still raging. If our only option to help is to pray, then let us pray with everything we’ve got because this battle is taking its toll on everyone, in many ways. Pray that the whole family would be able to process pain with an awareness of God’s presence. Pray for strength and grace in Christine and Brad’s marriage – that God would protect their unity and grow their relationship through this. Pray that Eli would recognize God’s faithfulness and provision, and that seeds of trust would be deeply planted. Pray for rest in God’s presence and a renewed spirit day after day. Jasmine is one week into her recovery, and so far she has been doing really well and there hasn’t been much to report. However, being in recovery also means her immune system is low, she is susceptible to infection, and her body can’t fight for her. Yesterday evening (Tuesday), at 5:30pm, Christine sent a message from the hospital that Jas wasn’t feeling well. Her HR (heart rate) was elevated, she had a headache and her temperature was also going up. So they didn’t go on a pass home, but instead stayed at the hospital. By 7:00pm, Jasmine had spiked a fever of 38.9C (102F), HR still elevated and she was feeling terrible so they took blood cultures. By 8:30pm her fever was coming down with Tylenol and Jasmine was able to fall asleep. This morning Christine sent a message that Jasmine’s blood cultures came back positive. She has a bacterial infection in her blood. They started her on vancomycin until they know exactly what kind of bacterial infection she has. She reacted to the vancomycin so now she’s getting Benadryl for that and they are infusing the vancomycin slower. Her temp is 40.1C (104F) so she just got more Tylenol. She’s been awake since 2am and her HR is still elevated. Eli, Jas and their dog Zelda during a visit home this week. -Asking the Lord to send the bacterial infection out of Jasmine’s body by His power. -Asking God to guard Christine and family with His peace, to capture every thought of fear, and to be Lord over her mind and heart as she waits. -Asking God to renew the strength of Jasmine’s current caregivers, Christine and Brad, Connie and Gerry. Also to give them health so they can continue to be with Jas. Here is some encouragement from Psalm 27, written by King David, who faced many trials including being hunted and chased in an attempt to take his life. “The Lord is my light and my salvation — whom should I fear? The Lord is the stronghold of my life — whom should I dread? When evildoers came against me to devour my flesh, my foes and my enemies stumbled and fell. Though an army deploys against me, my heart will not be afraid; though a war breaks out against me, I will still be confident. I have asked one thing from the Lord; it is what I desire: to dwell in the house of the Lord all the days of my life, gazing on the beauty of the Lord and seeking him in his temple. For he will conceal me in his shelter in the day of adversity; he will hide me under the cover of his tent; he will set me high on a rock. Then my head will be high above my enemies around me; I will offer sacrifices in his tent with shouts of joy. I will sing and make music to the Lord. Lord, hear my voice when I call; be gracious to me and answer me. My heart says this about you: “Seek his face.” Lord, I will seek your face. Do not hide your face from me; do not turn your servant away in anger. You have been my helper; do not leave me or abandon me, God of my salvation. 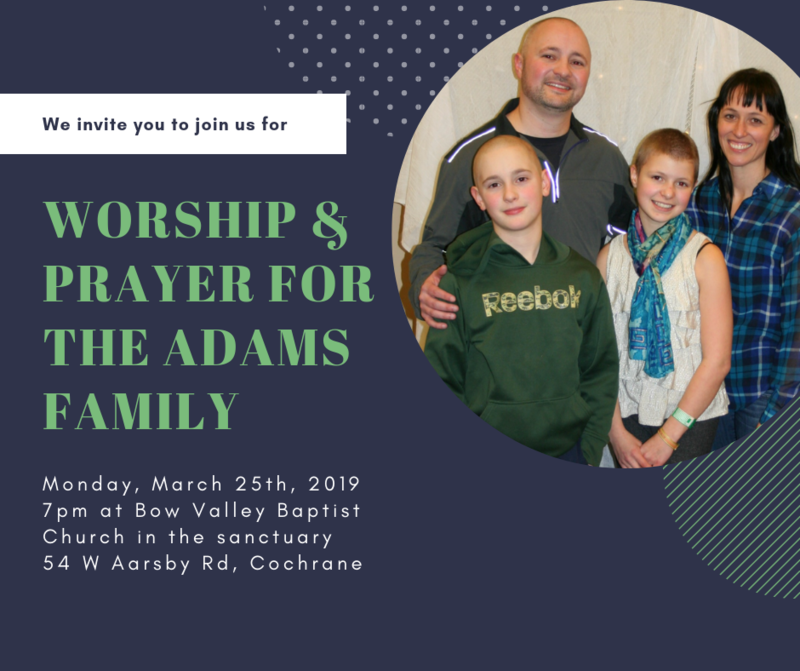 We are also hosting a worship and prayer night for the family on Monday, March 25th. If you are local, we would love for you to join us, and if you are farther away, we invite you to still join us in prayer where you are. Today is officially the first day of the recovery phase of the second round of chemo. This means the chemo treatments for Round 2 are done! The second round was eight days instead of 10, which was a wonderful little surprise for all of us, especially Jasmine. She tolerated the second round extremely well. The nausea was completely controlled and there was no skin rash or mouth sores at all. In the recovery phase, she is getting blood products to build up her blood, which the chemo destroys. But she seems to be doing very very well. She has been able to do four-hour passes home most days. That means she can be at home for a little over two hours when you include the travel time, and the family can be together for awhile most days. Jasmine and Gram enjoy doing puzzles together in the hospital. 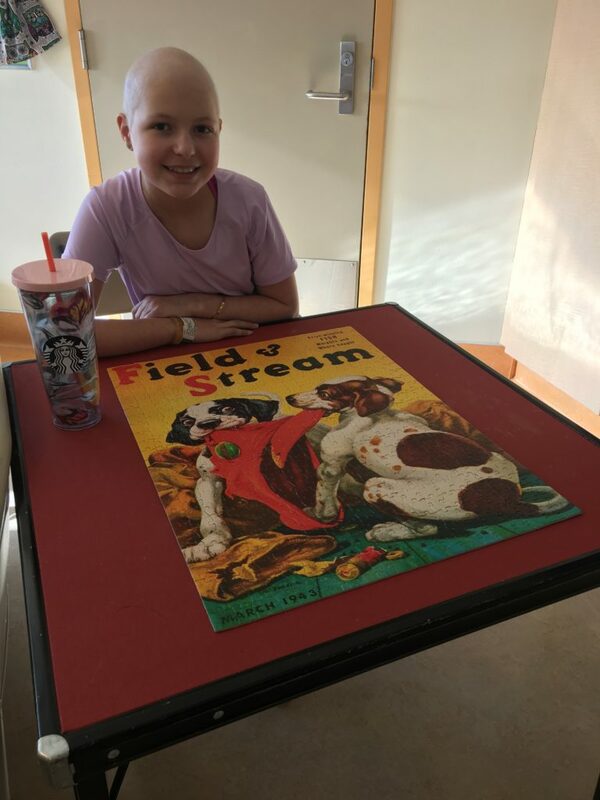 Jasmine is even able to do some school work during the chemo phase because she feels good enough and she’s keeping up with her math and social here at the hospital with the teacher who visits twice a week. God is beyond good!!! His presence throughout this journey has been so evident. Jasmine loves the pudding Gram made for her. The middle is often the hardest place to be. It’s not like the start of something, when energy levels are high, hope is bright and we are geared up and ready to fight. It’s also not like the end, when the finish line is in sight and we know rest is around the corner so we give it all we’ve got with a final surge of strength. Round 2 of chemo started today. 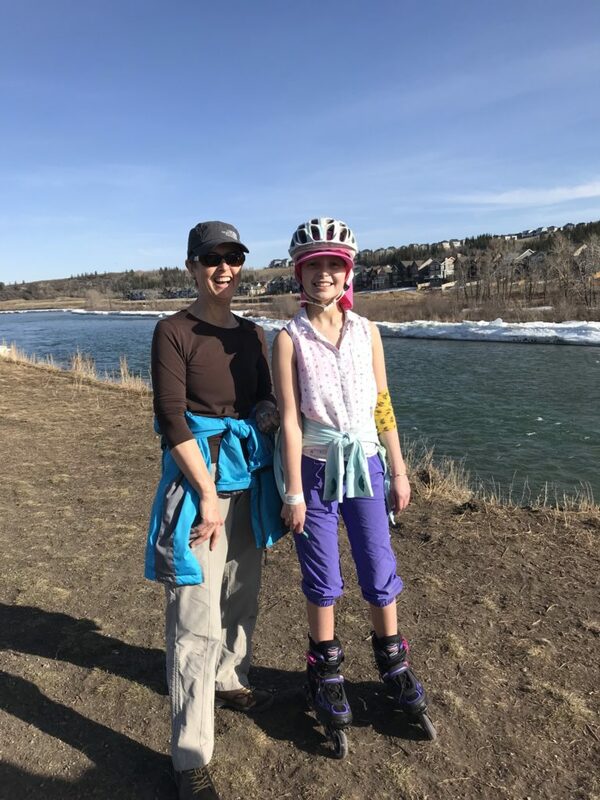 I can only begin to imagine what is going on in the mind of a 13 year-old girl about to face another month of chemo and recovery, but this time knowing what she will face and how hard it will be. The shock and newness has worn off, as reality sets in that this is the new normal. We had a family dinner Sunday night with the Adams family, Gram and Papa Taillon, Granny Adams, and my family. This was the first time we had all gathered in Connie’s kitchen, our previous regular rendezvous, since LBL (Life Before Leukemia), as Connie calls it. You can read more from Connie’s personal blog here. Granny and the rest of the Adams clan trickled in shortly thereafter. We hugged and chatted and laughed. Eli shared about his basketball team and their bronze medal game coming up. Brad made his usual Brad-jokes, and Lisa entertained us with stories from Louisiana. Then we all gathered around the island to say grace before the meal. Gerry thanked God for this time together with family and he also asked God to heal Jasmine completely. 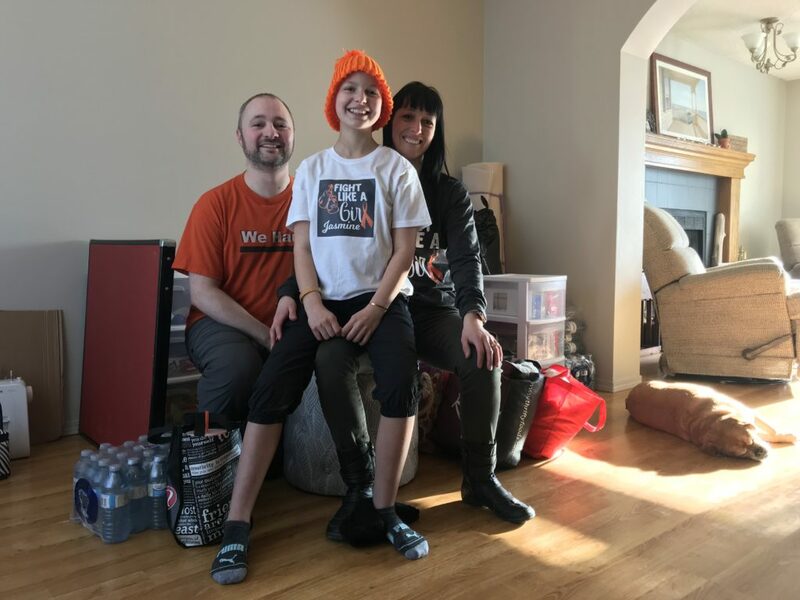 Back to reality – Jasmine still has leukemia. I had forgotten for a moment. There has been so much good since Jasmine’s diagnosis, so many answered prayers and millions of things to be thankful for. Jasmine is courageous and brave and hopeful. She has an amazing attitude towards all of this and every day there is a smile on her face. But let us not forget that this is still hard. It is still hard to be away from home and be isolated from the world. It is still hard to willingly take medication that makes you very sick, among other horrific side effects. It is still hard to choose joy over misery and faith over fear. I do not say these things to discourage, but to encourage us to continue praying. This is still the middle. 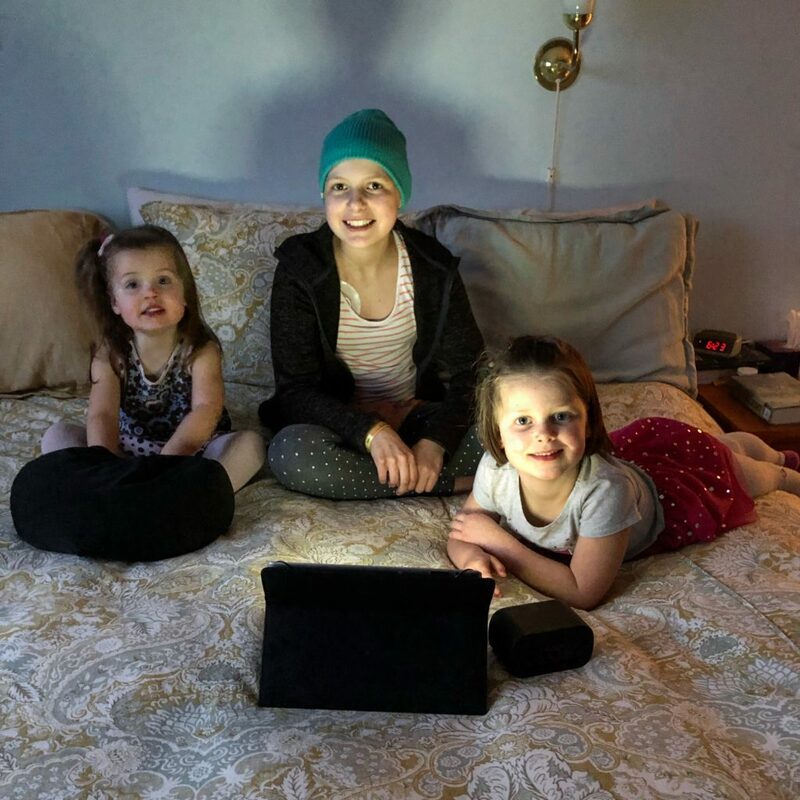 There are still a minimum of three rounds of chemo, with no finish line in sight yet. She needs us. Ready to move back into the hospital for Round 2. So we pray, and we forge ahead putting one foot in front of the other, minute by minute, hour by hour, day by day. Bone Marrow results from the biopsy: Less than 0.1% cancer cells present. Round 2 will be the same as round 1. This is what we were praying for!!! 2. God’s presence will be tangible and they will know God is with them. Friday: Bone marrow Biopsy went well. We will know the results by Monday. We hope to see less that 0.1% cancer cells in her bone marrow. If that is the result, it means her body has responded well to the chemotherapy and this next round of chemotherapy will be exactly the same in terms of chemo drugs and duration. If, her bone marrow biopsy shows more cancer cells than that, then this next round will look different. On Friday Jasmine also got a lumbar puncture to check for cancer cells in her spinal fluid. She got ONE dose of chemotherapy in her spinal fluid (this is customary even if cancer cells are not present). Jasmine was quite tired after the procedures and very nauseated that night from the chemo. Enjoying being home and opening more gifts! 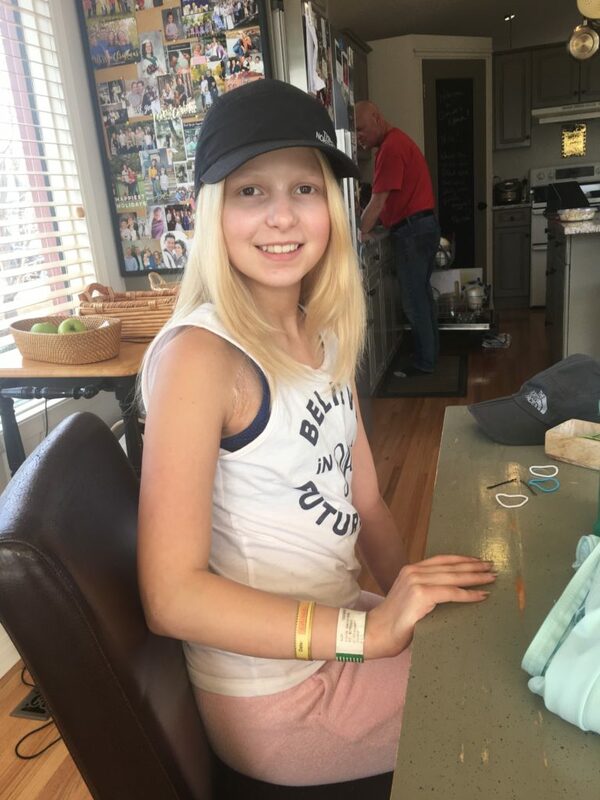 Complications: Jasmine has a IV line that goes into her heart (called a central line or Broviac), and when we got to the outpatient oncology unit at ACH yesterday, we discovered that her line was blocked (she has 2 lumens, both blocked). It is through this Broviac that she receives ALL her medications and whenever they need to get blood, they draw it off her line. Because both lumens were blocked, Jasmine had to get poked with a needle three times (once for bloodwork, and twice to insert an IV in her hand for the general anesthetic for her two procedures). After many hours and with the use of a medication called TPA, one of her lumens was unblocked but the other lumen remains blocked. It was decided that they would leave the TPA medicine in her blocked lumen for 24 hours and a nurse will come to our house today (Saturday) to see if it has been effective in unblocking it. If it remains blocked, she might need to have a completely new central line inserted before Tuesday. 1) TPA will be effective in unblocking her Central Line lumen. **** Thrilled to report that only 5 hours after I posted this, Christine messaged that Jasmine’s central line is now working!!! Praise God!